Two friends search for the truth. But sometimes the truth finds you. The ParaPod Movie stars Ian Boldsworth and Barry Dodds and follows on from the third series of the their Chortle Award nominated podcast, The ParaPod. The movie follows Ian and Barry, who continue their debate on the paranormal as they travel the UK visiting some of the most haunted and mysterious locations the country has to offer. The trailer was first shared a week ago, exclusively for those who support Ian on his Patreon page. The reveal marked exactly a year and a day since the last episode of the podcast. In a blog post Ian wrote, "I very much like that the first proper trailer is landing a year and a day after we rode off into the sunset with bold, unrealistic claims of making a movie." The thing that first hits you about the trailer is how beautifully it's shot. Although the cold weather caused a couple of issues with the shoot, and no doubt Ian and his team hated it at the time, the blanket of untouched, pure white snow in some of the shots makes them look even more special. As always, the music is provided by Thomas Van Der Ree, with visual effects from Taylor Dempsey, all pieced together by editor, Simon Gibbs. There's no release date for the film yet, but Ian, who is directing the movie, has hinted that the finished film will reach fans later this year. Although principle photography has wrapped and the film is now being edited, we don't know a lot about the project, with both Ian and Barry keeping their cards close to their chests, but there are a few clues as to what we can expect hidden in this trailer, as well as in a shorter teaser clip, which was published a couple of weeks ago. SPOILERS: Be warned, the following contains speculation about locations that may feature in the movie, and therefore could contain potential spoilers. If you're familiar with British paranormal locations then in the teaser trailer you might have spotted the infamous poltergeist house at 30 East Drive in Pontefract, which featured heavily in the first series of the podcast. In the new trailer Barry is seen running out of the house screaming. We also see Ian and Barry speaking to Carol in the living room of East Drive, Carol of course featured in a very aggressive interview in the ParaPod special podcast. 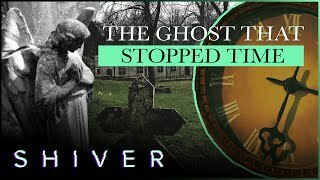 From the teaser we also know that the duo visit The Ancient Ram Inn, a former pub which is said to be one of the most haunted buildings in the UK. A stuffed crow which hangs in the pub's kitchen featured in the clip. The first video featured a fleeting glimpse of the ParaPod vehicle from a distance, as well as a close-up of the registration plate "PARA-1." Ian has already posted plenty of photos of the vehicle on his Patreon page, but now, finally in the full trailer the car has been publicly revealed for the first time. The new trailer gives us our first proper look at one location, an unknown church. The stained glass window which featured in the teaser was at this same location. We also see Ian and Barry joking in the church, with Barry stood in what looks like the pulpit. Quite how the church fits into the movie is a mystery. 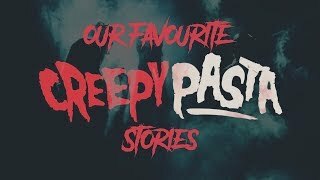 In the first series of the ParaPod Barry took us on his "taxi ride" to Pluckley in Kent, which is said to be the most haunted town in Great Britain. The town gets a name check in the trailer, suggesting the pair are going to visit for real, but it doesn't look like Ian trusts Barry to drive the "taxi", instead he has a kid's toy steering wheel to keep him content during the journey. There are a few other locations which a hard to identify in the trailer including a woodland. At first I thought it could be Pendle Hill, a forest with a history of haunting and witchcraft. But I think it's actually the mysterious Clapham Woods, a place that Barry mentioned in the second series of the ParaPod. It has links to UFO sightings and is one of the most mysterious locations in the UK. In the first teaser video we saw what looked like the outside of a cozy pub, is this the same pub that we see in the full trailer? We see Ian and Barry interviewing a landlord, perhaps at one of the hundreds of pubs that claim to be haunted across the country. There's also several shots that reveal stone walls and vaulted chambers, could this be Barry's favourite haunted location, Chillingham Castle? Or perhaps Dudley Castle, which has recently taken the title of most haunted castle from Chillingham. From the trailer we can also deduce that the pair will embark on at least one ghost hunt in film, and that something truly terrifying is going to frighten the life out of Barry, is this the same thing that has him running from 30 East Drive? We know that Barry will take on the role of a witch, could he have put the costume on to get into the spirit while investigating the Pendle witches? I've been waiting for a week to share this news wit you and even now, I know a little more than I'm letting on, but I'm sworn to secrecy. However, I can tell you how you can get your share of the secrets too. You can join the inner circle by supporting Ian on Patreon for as little as $1 a month.